Have you been ignoring Google+ in your social media strategy, because you thought no one ever uses it? You are mistaken, but you are not alone. It’s a common misconception, but once you start getting to know the platform, you’ll discover it’s a great place to find quality content and spread the word about your business. With over 300 million monthly active users, Google+ is definitely worth your attention. The problem is many newbie users don’t really understand the platform and quit trying before they start seeing any progress. Google+ is surely different from Facebook and Twitter we are all used to, and the trick is leveraging this difference to make the most out of G+ for your company. That is why we are starting a series of posts for Google+ beginners, which will guide you through your first steps out there. Let’s start with the key element of your G+ activity – your brand page – and the first post you are about to publish. Like Facebook and LinkedIn, Google+ allows you to create a beautiful brand page, with a header image, full description, contact information, and various links. The unique advantage of this platform is that your page can function as an actual user: add other users to circles, join communities, send private messages, and participate in discussions. This gives you endless opportunities for getting your brand recognized without even mentioning it. To start ripping these benefits, start here. You have several options for your page: Local Business or Place; Product or Brand; Company, Institution or Organization; Arts, Entertainment or Sports, or a generic page. The process of setting up your page is fairly easy and intuitive. Just don’t forget to fill out all the fields of your “About” section. Google+ allows adding numerous links with custom anchor texts, so this is where you can put links to your website, blog, other social media accounts, and even use some of your keywords in the anchor texts (which never hurts). Once the page is ready to go, you will be able to see page stats in the “My Business” section on your left. These insights will show how many people followed or viewed your page, commented on your posts or shared them within the last 30 days. Like many other social networks, Google+ allows using hashtags to make your posts easier to discover. Once you add the ‘#’ symbol and start typing, G+ will prompt you the most popular hashtags out there. The first 3 ones will also be added to your post as Related Hashtags, so you might want to use the most relevant ones at the beginning, or just limit your number of hashtags to 3 per post. If you use less than 3 hashtags or none, Google+ will determine the Related Hashtags itself, based on the content of your post. So, now your business page and your very first Google+ post are ready to go. Next time, we’ll talk about networking on the platform and understanding its pretty unique features – circles and hangouts. 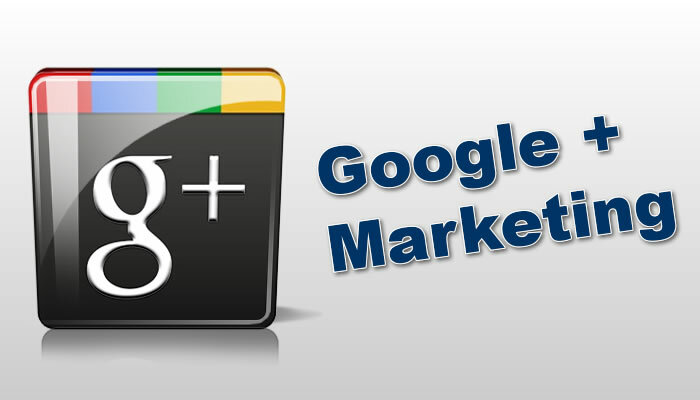 Now, do you use Google+ for marketing your business? How does it work for you? Feel free to share your experience in the comments.